With June 2018 now in the books, it's time for us to go back and enjoy our most inspirational photographers from the past month. We had some epic photos shared with us in June, so if you missed them the first time around, now's your chance to see photos from around the world that will inspire you to grab your camera and get out there to take awesome shots of your own. 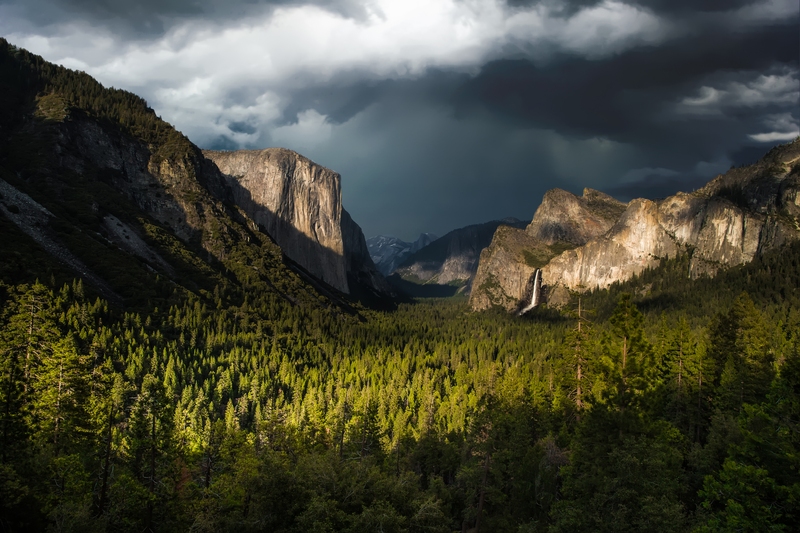 Larry Marshall’s gorgeous shot of Yosemite reminds us of the incredible beauty that can be found the world-over. But as Larry suggests, getting out of your comfort zone and working harder for “the shot” can often bear fruit in terms of beautiful images. Great advice, Larry! What’s so great about this shot is its simplicity. 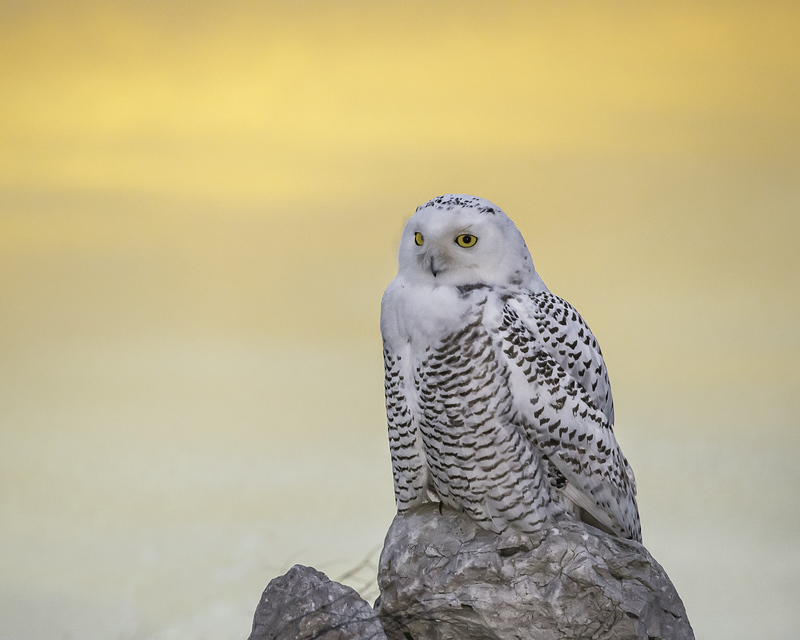 This Snowy Owl is interesting enough on his own that the image doesn’t need a bunch of fluff to catch one’s eye. The texture of the post on which this owl is perched adds a touch of texture to the shot, but otherwise, it’s the bird’s show! 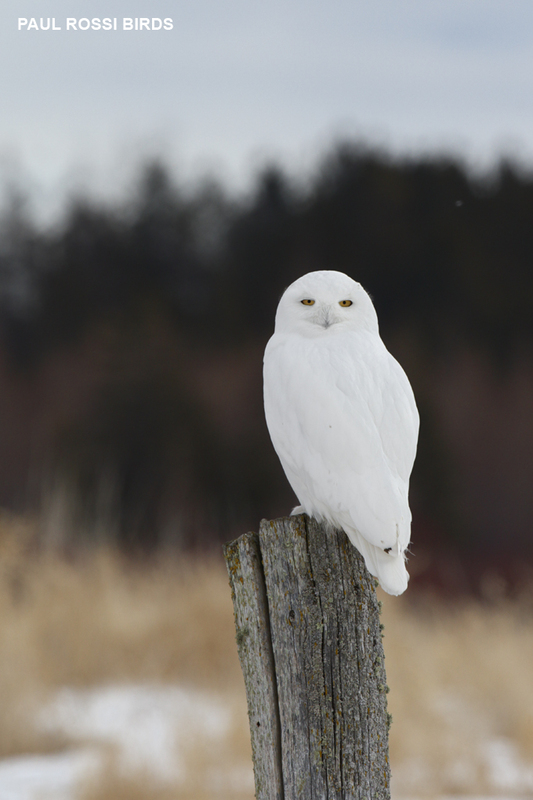 Want more gorgeous bird photos to look at? Check these out! Timing is everything in photography, as demonstrated by this breathtaking shot by Joshua Snow. 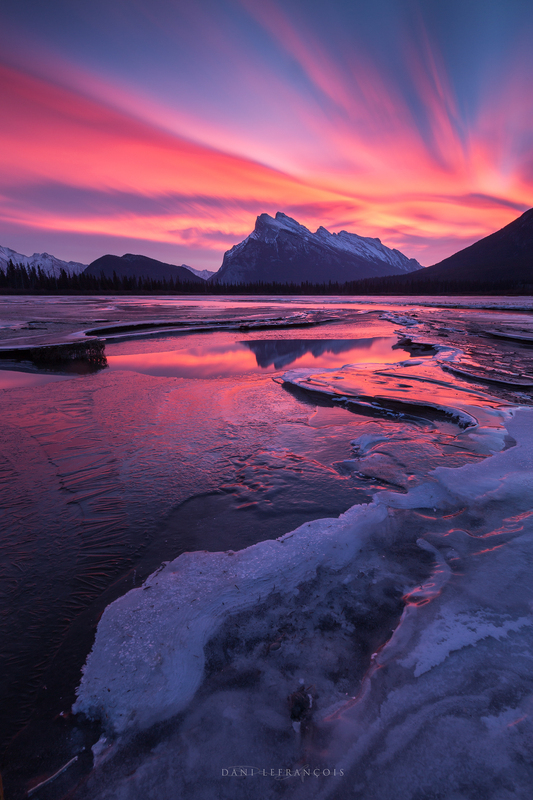 As he explains in the photo’s caption, as soon as his tripod was set up, the light peaked, the clouds swirled, and he had this gorgeous image on his hands. When traveling with your camera, it’s easy to miss out on the little things that make for great photos. 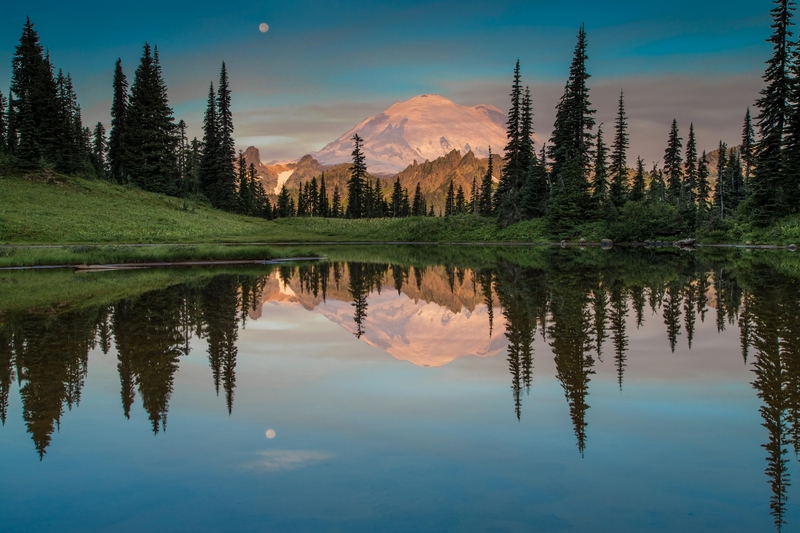 This image by GJ shows that stopping to “smell the roses” can pay off in your photos. 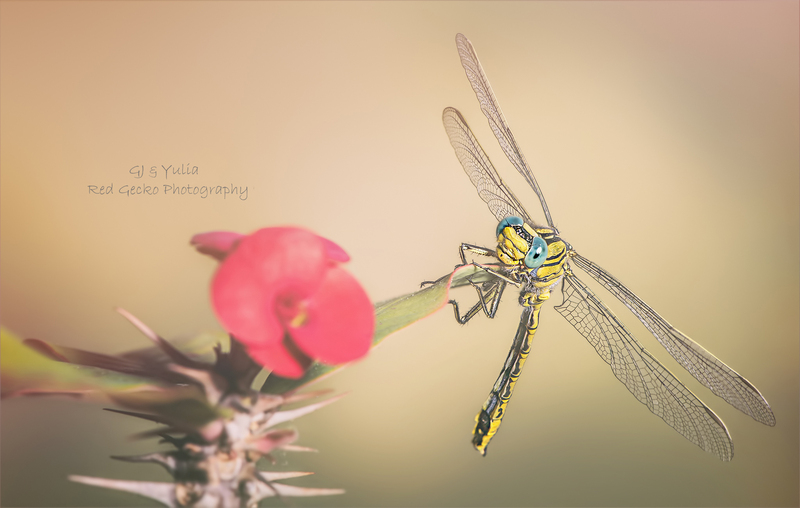 This macro shot has beautiful details and offers a different take on what you might find in Spain! 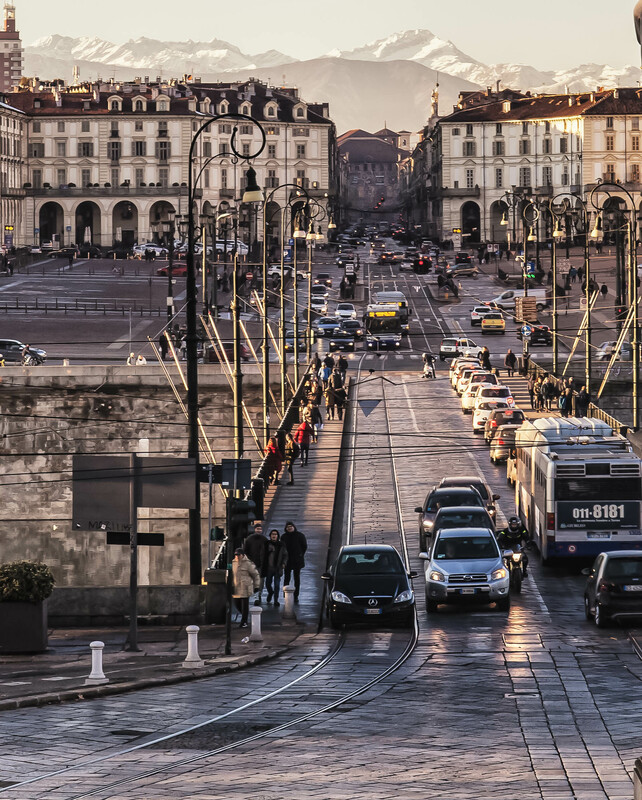 This image by Glenn Donharl combines the beauty of the landscape in the distance with the beauty of a regular day in the city in the foreground. Notice how the lines created by the street serve as an ideal leading line to connect with the mountains in the distance. 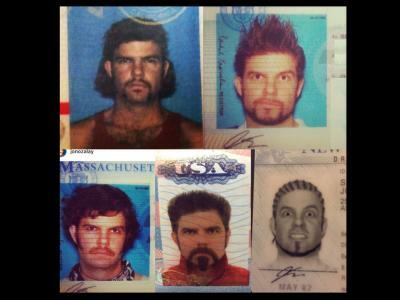 Great work, Glenn! This gorgeous and unique shot of the Golden Gate Bridge by Nicholas Steinberg shows why waiting until the evening hours can result in much more interesting photos. 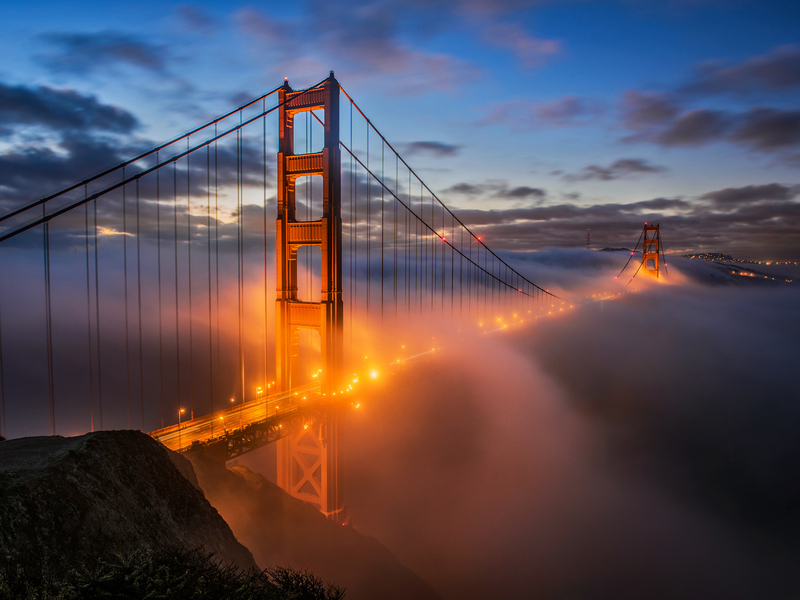 In this case, the lights of the bridge interact with the fog in a way that makes this image dreamy and even a bit mysterious, too. 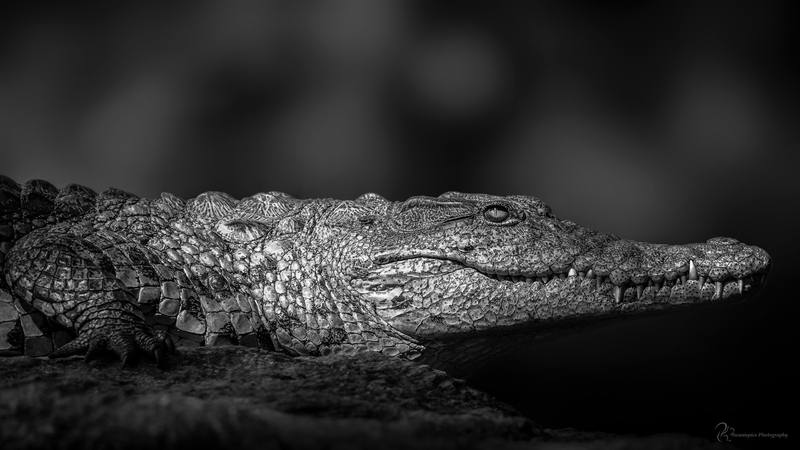 Black and white photos benefit greatly from textures that add depth to the shot. In this case, Mark Swandale found just the right texture to do just that! Notice how this big fella is in perfect focus, too. Together, the texture and focus make this one heck of a shot! This epic shot of the Northern Lights by Kah-Wai has tremendous balance. 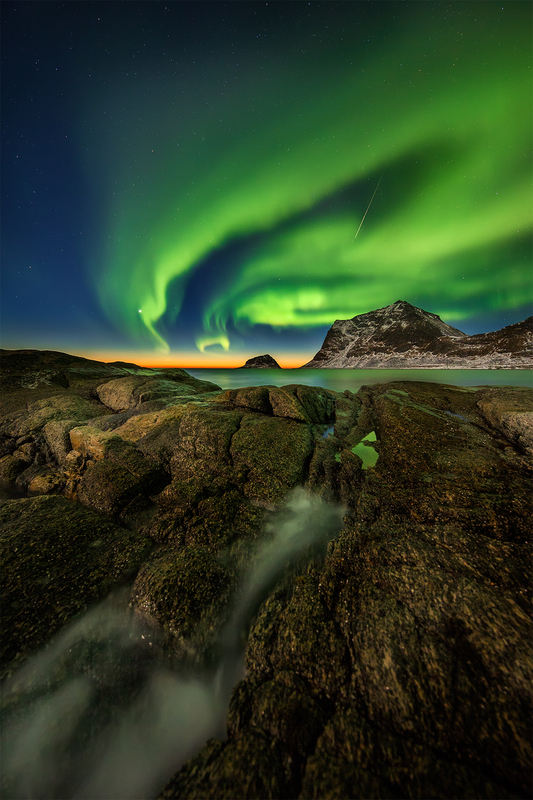 The gorgeous shape of the Northern Lights is mimicked in the rocks below. And with the horizon perfectly centered in the shot, there’s a sense of symmetry with this image, too. Though landscape photography is usually all about the landscape, the supporting elements in the shot can often elevate it to another level. 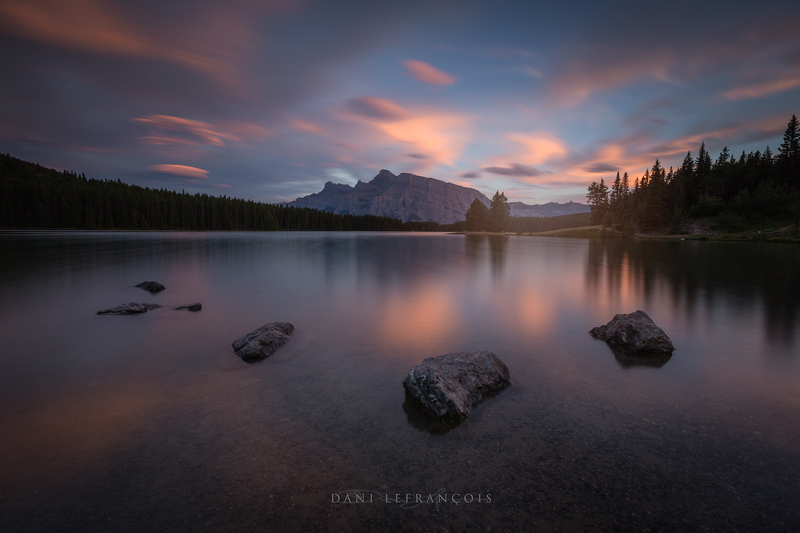 In this case, Dani Lefrancois captured gorgeous UFO-like lenticular clouds floating above Banff National Park that add shape, color, and drama to an already spectacular image. Master bird photographer Tim Boyer shows why working the perspective of the shot can help you create a far better image. 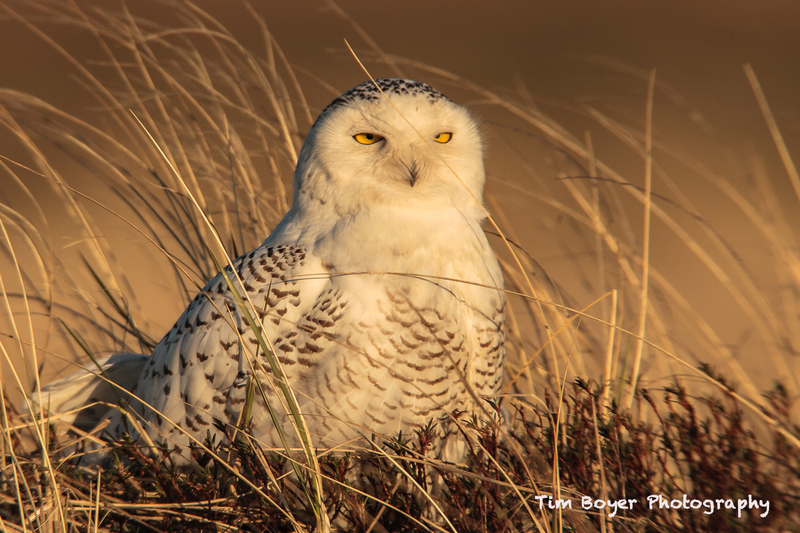 Not only did Tim’s hunt for the right perspective get us on this Snowy Owl’s eye level, but it also allowed Tim to utilize the grasses in the foreground to create a photo with tons of depth. The result is one heck of a shot! Sometimes the combination of beautiful landscapes and beautiful manmade elements go hand in hand to create a gorgeous final result. That’s certainly the case in this shot by Jennifer King! 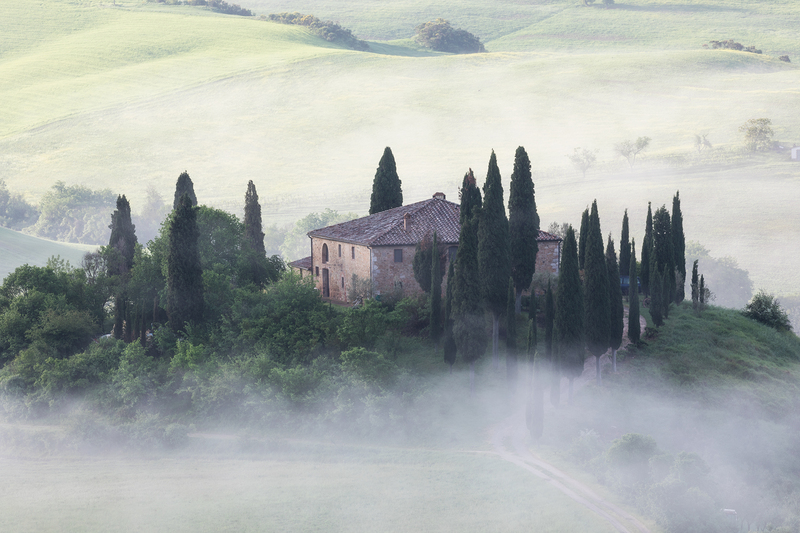 The wisps of fog give the image wonderful visual appeal, as do the shape of the trees reaching toward the sky. 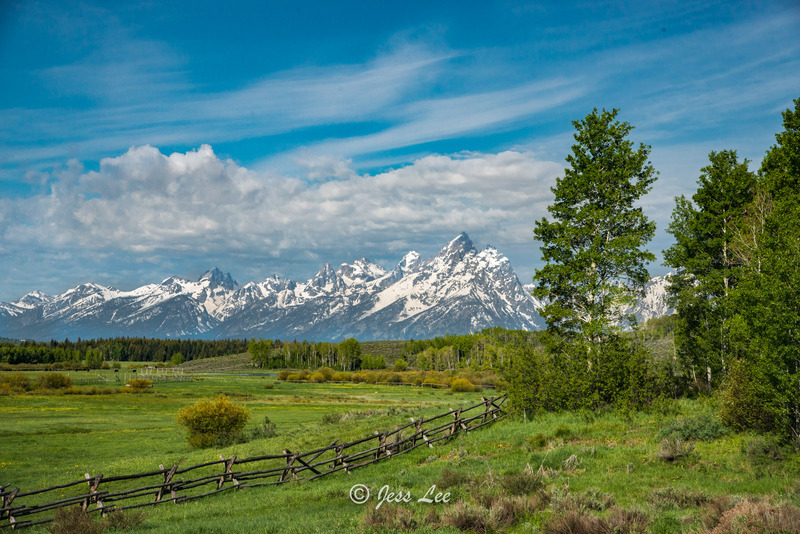 There are few places as breathtaking as Wyoming’s Grand Teton National Park, as evidenced by this shot by Jess Lee. The mountains rising sharply from the valley are strong enough subjects on their own but combined with the lush foliage in the foreground, you have the makings of a fantastically entertaining image! 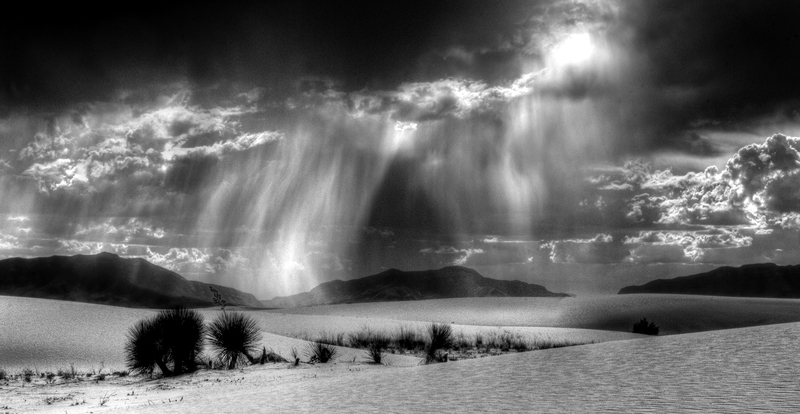 The White Sands area of New Mexico is a gorgeous area that’s a photographer’s playground, even during monsoon season. As KodaKevin shows in this shot, the storm clouds and bands of rain add all sorts of drama to the shot and are the perfect subject matter for a dramatic black and white photo. Nothing says calm and serene like a mirrorlike shot of a stream! 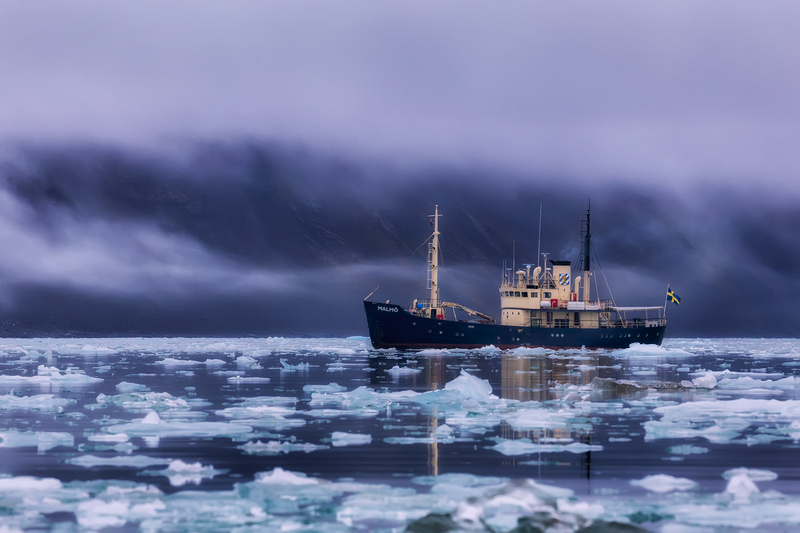 This image, taken by ThrasivoulosP, utilized a slow shutter to smooth out the water’s surface and add a little bit of indicated motion in the clouds above. 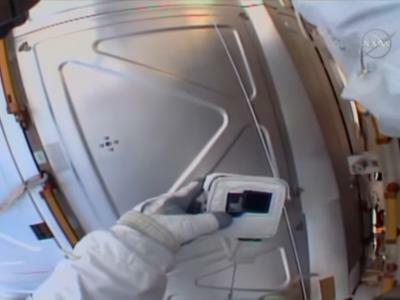 The reflection that resulted is a showstopper! 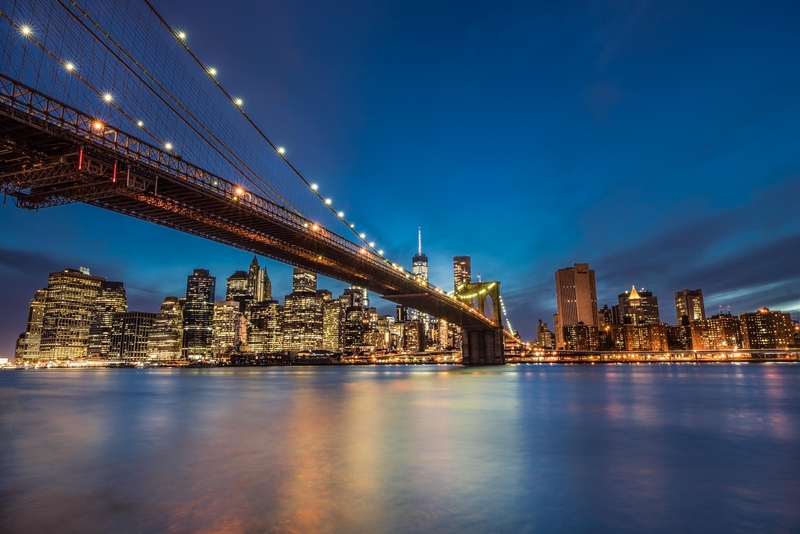 Larry Marshall’s epic photo of the Brooklyn Bridge shows the value of tackling cityscapes with a wide-angle lens. At 21mm, this shot is quite wide and gives us a great view of the bridge and the city skyline beyond. Nice work, Larry! 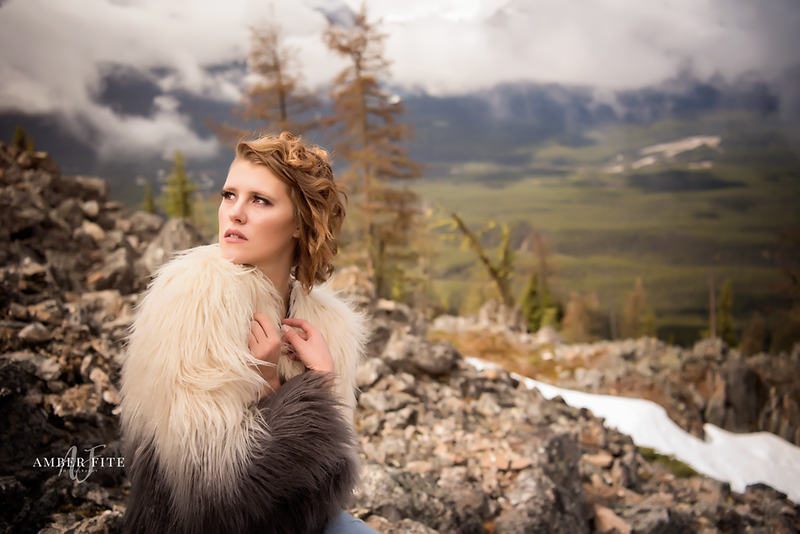 One of the keys to making a gorgeous portrait is to find ways to make the portrait stand out from the crowd. Amber Fite certainly accomplished that in this gorgeous photo. This “Portrait in High Places” combines portraiture with breathtaking landscapes. The result? One amazing portrait! 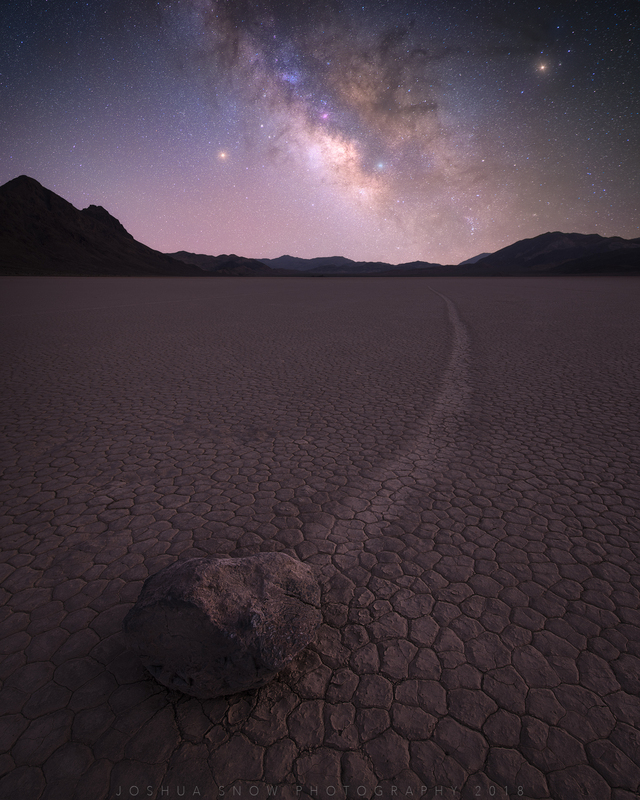 Death Valley is an ideal spot for astrophotography, as demonstrated in this stunning photo by Joshua Snow. Notice how though the star-filled sky is the primary subject that the “moving” boulder and the line created by its movement help add even more interest to the shot. 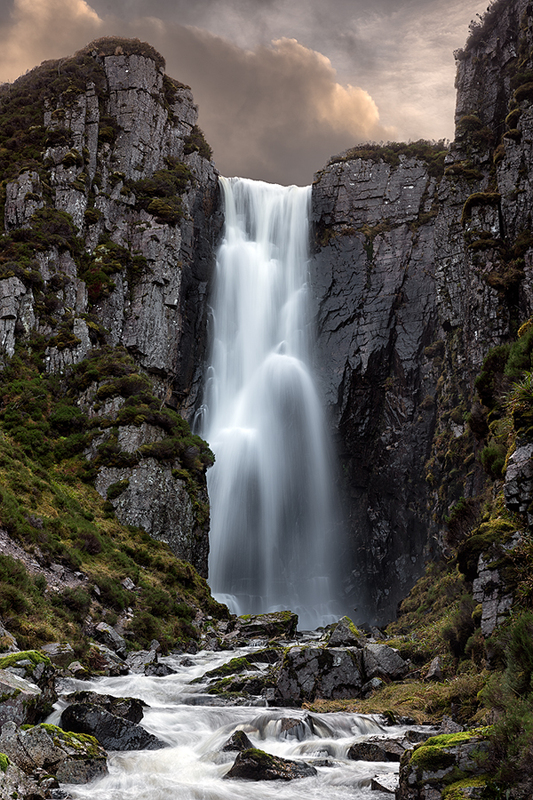 This stunning photo of a waterfall by Donnnnnny shows that you don’t have to use a very slow shutter speed to get beautifully blurred movement. In this case, the 1/50 second shutter speed provided the ideal amount of blur as the water tumbles toward the ground. Good stuff! Using a 300mm lens, Kelly Todd captured this content little owl from afar. Not only does this focal length allow you to get up close to distant subjects, but it also helps blur the background to help set the subject apart in the shot. It might be summertime, but that doesn’t change the fact that this wintertime long exposure by Joseph Watrous is a drop-dead gorgeous shot. Not only do the lights from passing cars add warm tones to the image, but their circuitous path through the frame adds visual interest to the photo as well. This magnificent shot by Dani Lefrancois just goes to show that you don’t have to max out the aperture to get good depth of field. 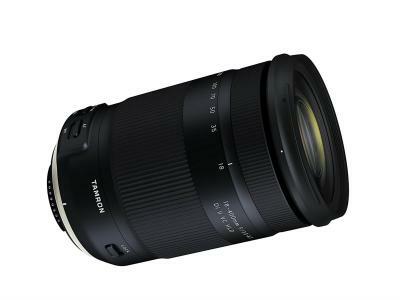 Rather than shooting at f/22, Dani stepped the aperture down to f/16 and still maintained sharpness from front to back. This beautiful shot of the New York City skyline by ApertureXplorer-James shows why Blue Hour is a great time to photograph a cityscape. 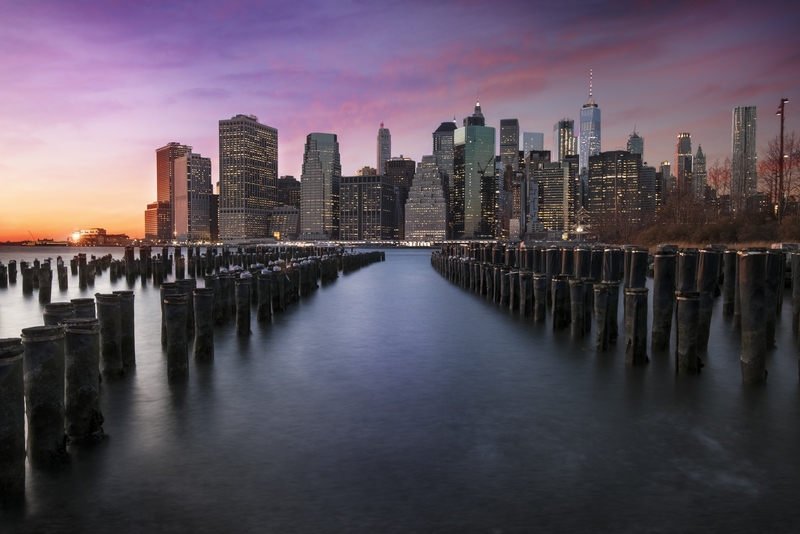 The cool tones in the sky after the sun has set are the perfect backdrop the cool tones of the buildings and the water in the foreground. If ever a landscape photo made use of leading lines to strengthen the composition, this one is it! 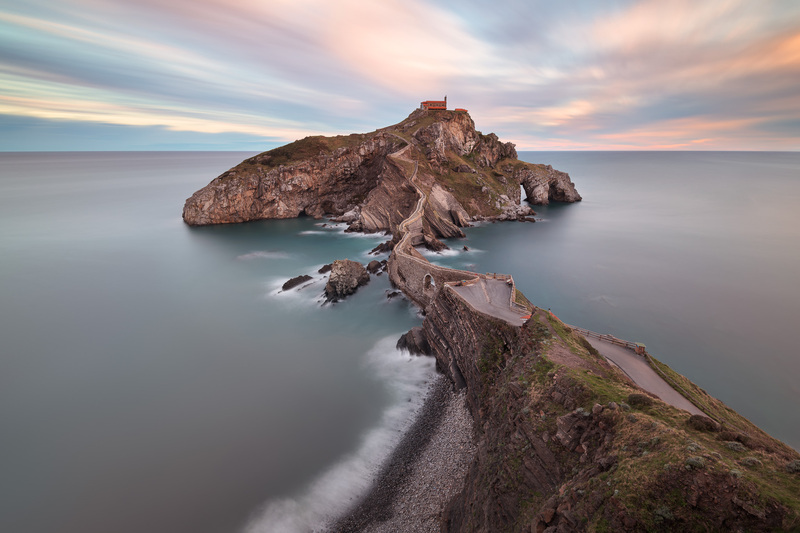 Ansharphoto framed up this shot of San Juan Church in Basque Country of Spain just perfectly, with the lines created by the walkway guiding our eye to the church atop the hill. The fact that this is a long exposure helps make it a better photo as well. 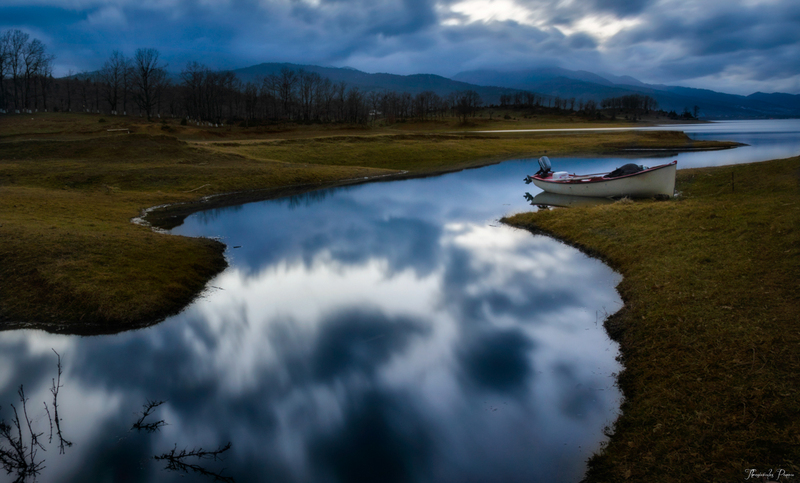 Martin Hroch demonstrates the value of shooting on overcast days in this magnificent photo. 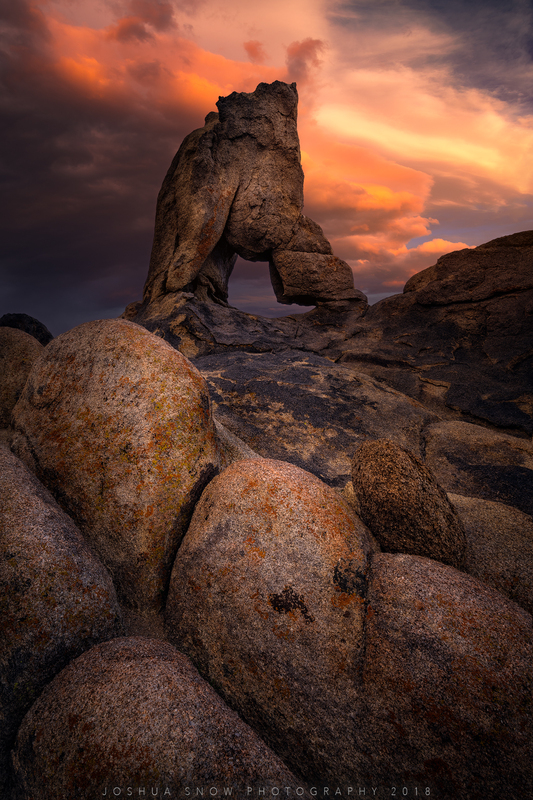 The drama and darkness of the clouds gives this shot tons of mood, while the panoramic stitch of 18 vertical images gives us an ultra-wide view of the scene. Not bad, Martin! 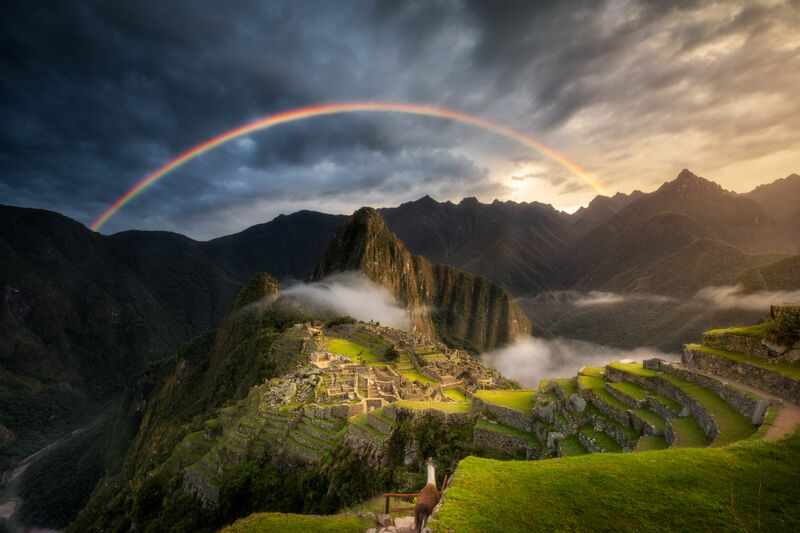 Talk about a breathtaking shot! 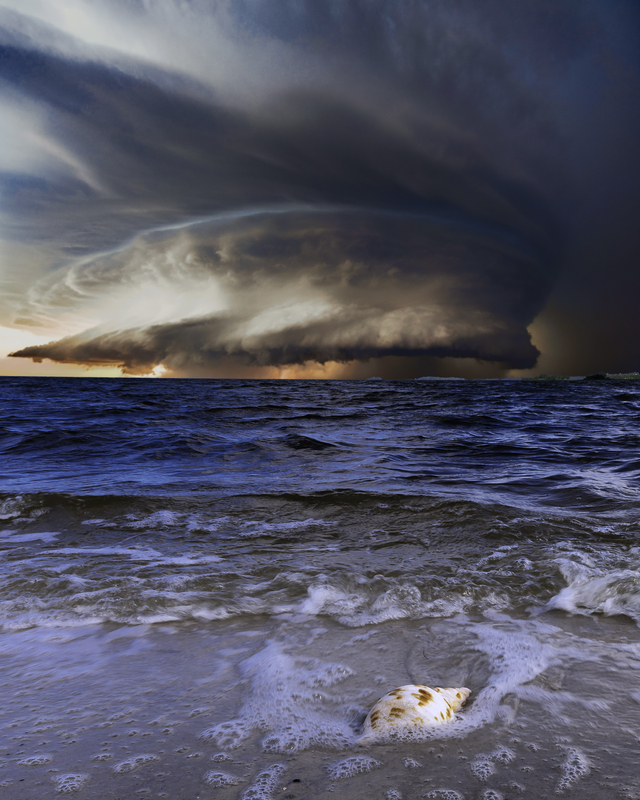 This image by Rick of Cyclone Alberto is framed perfectly, with the cyclone dead in the middle of the shot. The swirling clouds above and the turbulent waters below make for one heck of a drama-filled photo. What is there to not like about this shot by Kah-Wai? There’s a strong subject, beautiful texture in the icebergs floating in the water, a dramatic sky, great colors and contrast...you name it! The way that the mountain in the background peeks through the low-hanging clouds is a great detail as well. The key to an ideal reflection is to capture the scene in a moment in which the water is perfectly still. As Larry Marshall shows in this shot, that’s often early in the morning before the wind kicks up or late at night after it’s calmed down. The glass-like water is the perfect vessel for making a better landscape photo! 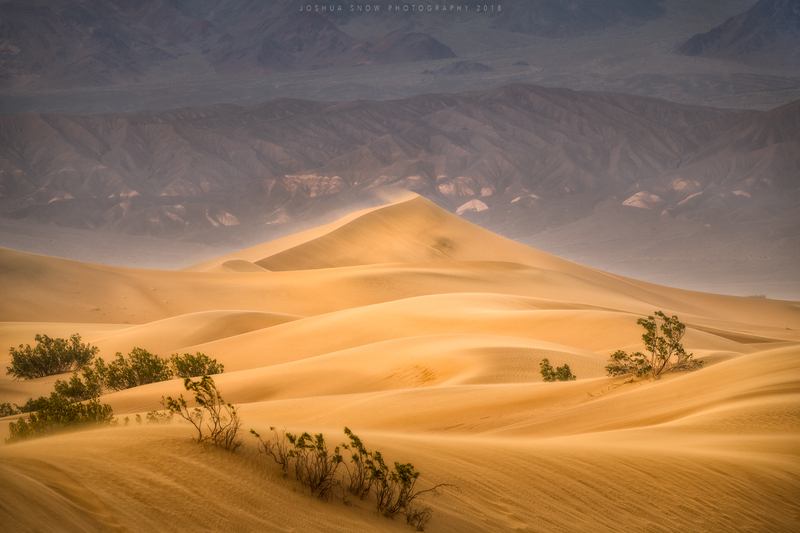 Though this incredible photo of desert sand dunes by Joshua Snow looks peaceful, it was hardly that. Not only was the wind ripping at 40-60 mph, but it was well over 100 degrees as well. If you want to get the shot, sometimes you (and your gear) have to suffer! 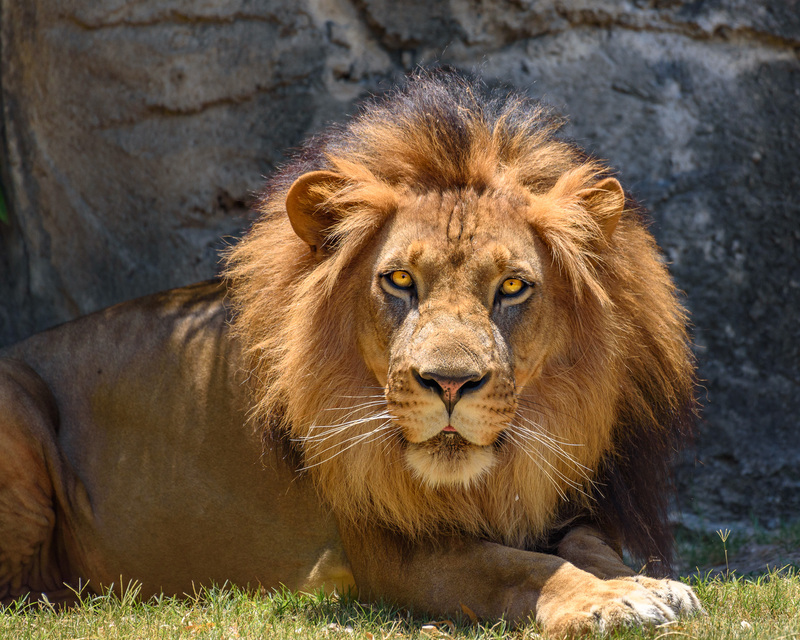 Gary R. Hook gets us up close and personal with this magnificent lion whose intense gaze is a little intimidating! That’s thanks to the lower point of view from which Gary took this shot - he got us right down on this lion’s level to make the image much more dynamic. Nice work, Gary! Check out these wildlife photography tips so you can take better photos of animals. 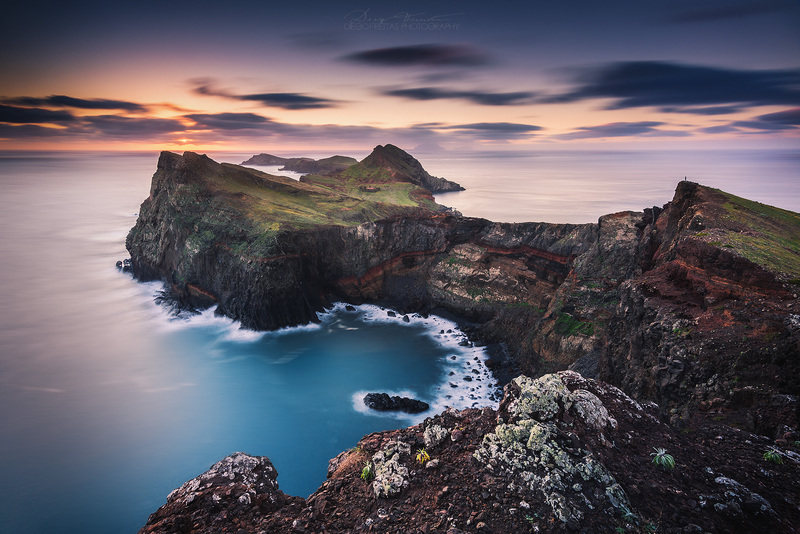 Diego’s breathtaking photo offers a beautiful contrast between the harshness of the landscape and the softness of the water and sky. The long exposure gives the water and clouds a dreamy look that pairs beautifully with the jagged cliffs of the peninsula. And how about the color of that water? Wow! And there you have it - 30 inspirational photographers from June 2018. For a chance to be featured in an article like this, be sure to upload your images to our galleries! 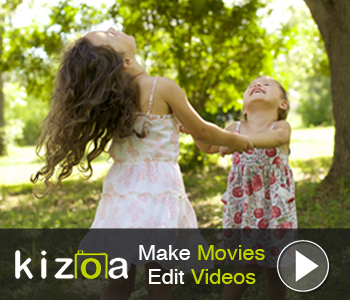 Need more inspiration for your photography? Check out these inspirational quotes about photography and success.